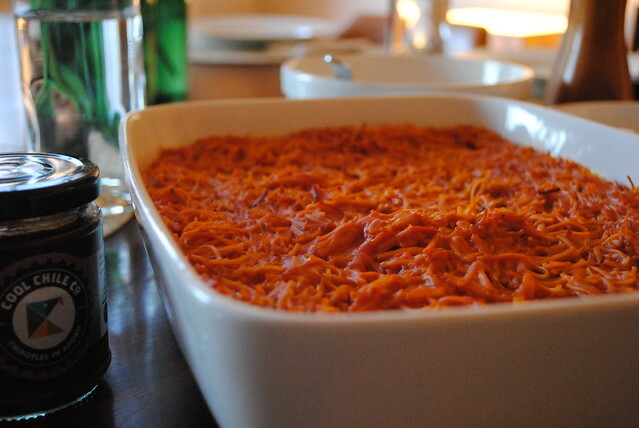 A mexican classic, this traditional dish is a crowd pleaser and simple to prepare. You can top this dish with various garnishes such as soured cream, cheese, avocado, chipotle… It can be a dish on its own or accompanied by tacos, quesadillas, or anything you’d like. 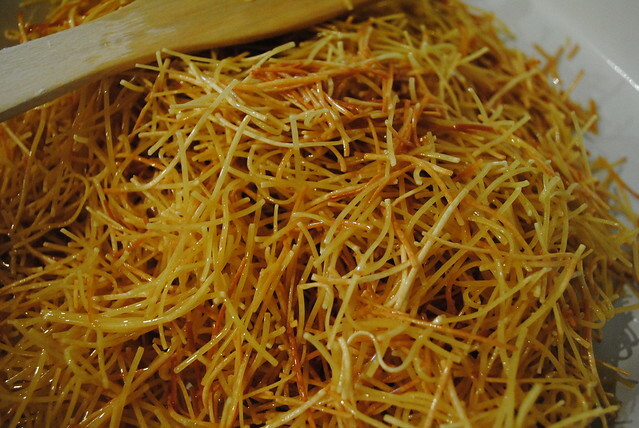 Here’s a step by step illustrated guide to making the perfect fideo seco (dry noodle soup). 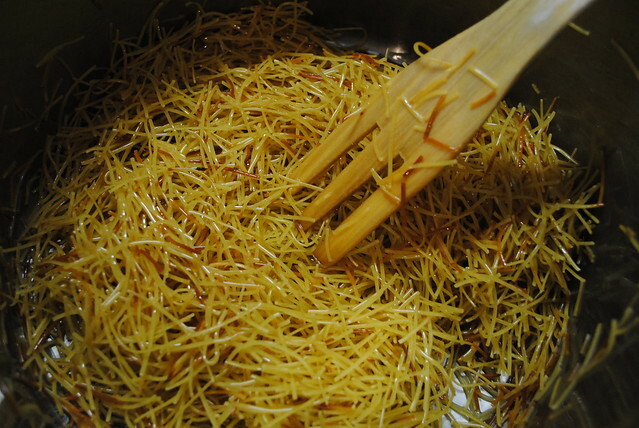 If you love noodles, here’s a great authentic way to prepare them! 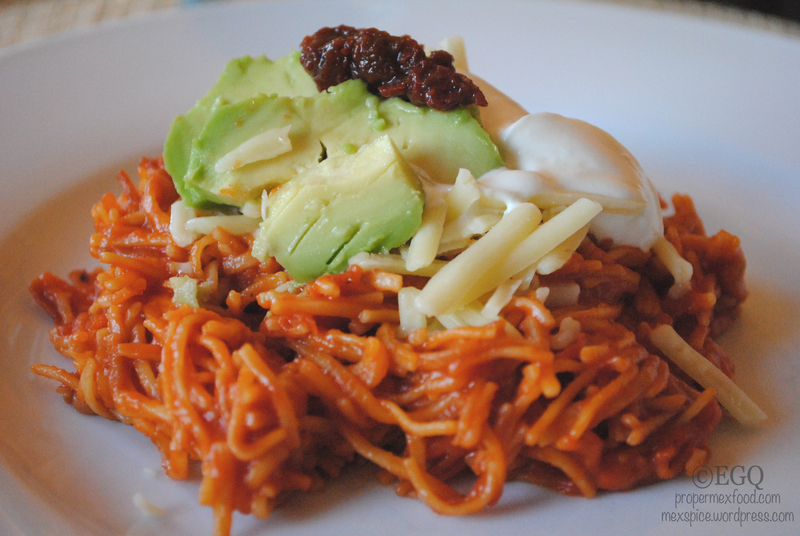 Toppings: soured cream (around 200mL), mild cheddar cheese or fresh cheese if you can find any, chipotle, avocado…. 1. Heat 2tbsp oil in a saucepan over low heat. 2. 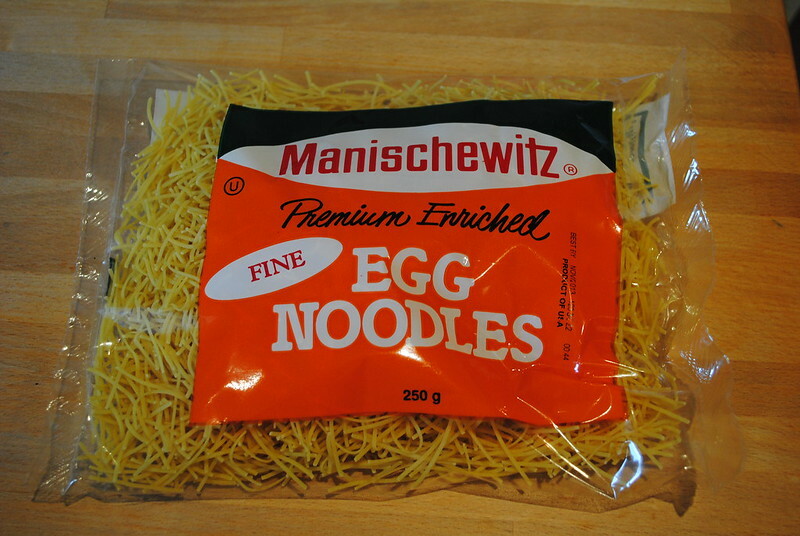 Add in 250g egg noodles, coating all noodles evenly with oil. 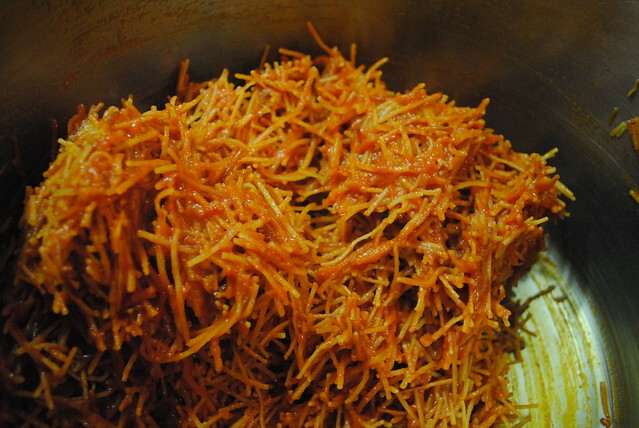 Take care to mix regularly yet gently, so that the noodles don’t break too much. 3. Transfer into a 9×12 inch baking pan once noodles start to turn golden. 4. 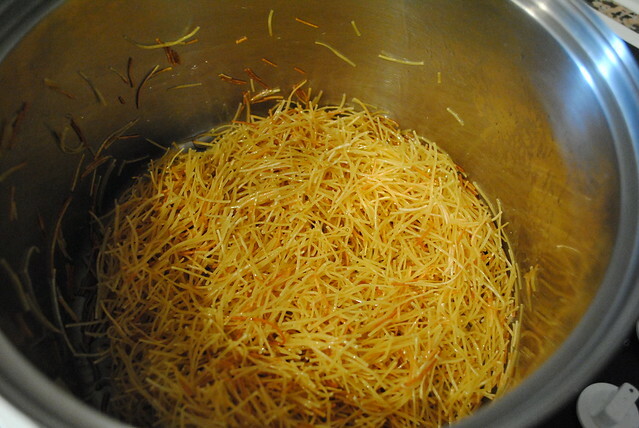 Repeat steps 1 and 2 for remaining noodles, then tip all the noodles into the saucepan. 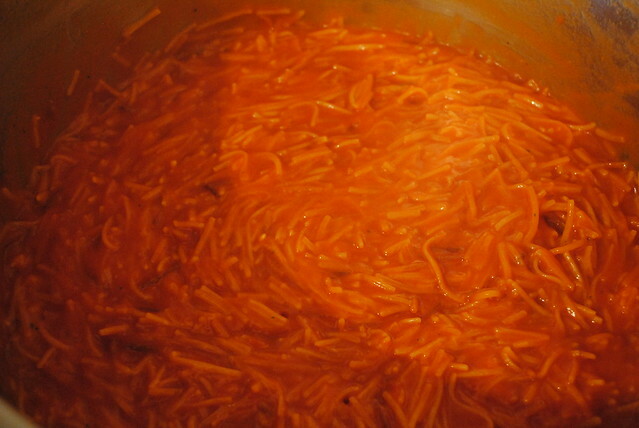 Add the tomato passata or purée, mix well so the noodles don’t stick to the bottom. 5. 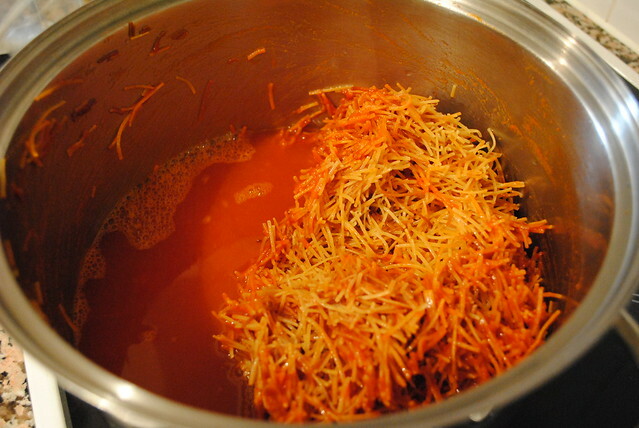 Add broth or boiling water with dissolved cubes into the saucepan, mix well and regularly. 6. When it starts to boil, lower the heat. 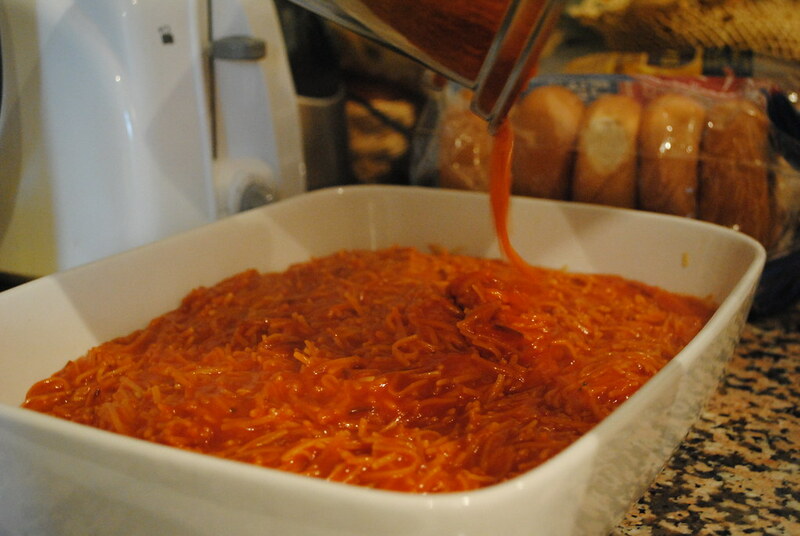 When most of the water is absorbed (the mix should have a risotto like consistency), tip into baking rectangular mould (or any baking recipient). 7. 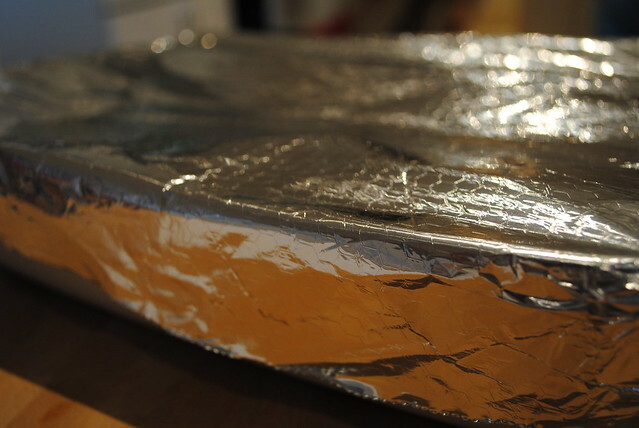 Cover with aluminium foil, cook at 190˚C (375˚F) during around 20 minutes. 8. When done, let stand for about 5-10 mins then serve immediately with toppings of choice. 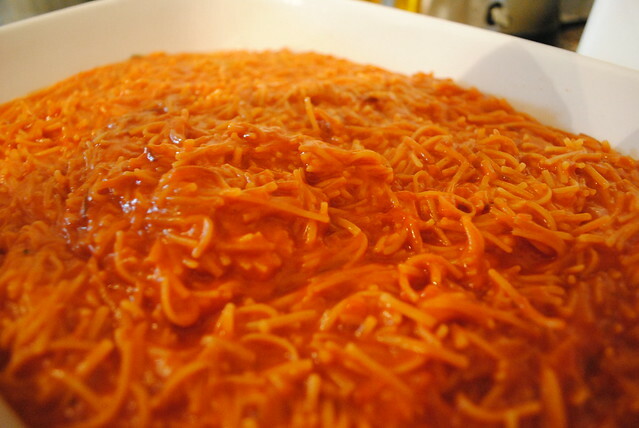 I grew up on my grandmas fideo. This looks spectacular! Thanks so much for sharing…I can’t wait to try this out.